It is highly important to search for high quality solutions any time you are looking for furniture – whether those are table and chairs for sale or any other furniture piece you need. Start with assessing material quality. If you are looking for wooden furniture, make sure that table material is solid and upholstery is durable. If you are looking for more affordable MDF furniture, choose fine quality, properly processed MDF. If it is glass you are interested in, stick to safety tempered glass, which is a much more durable material type if compared to ordinary glass. Any time you are looking for table and chairs for sale, you should be prepared that the selection will be a bit smaller in comparison to non-discounted models. So, you might have difficulty finding the solutions that would be a 100% fit for your current interior. The way out is to search for interior friendly, relatively neutral designs – the integration will be quite easy then. When you find something you like, take some time to compare prices on similar models. Sometimes, a different store will be able to offer you a better deal on the same model. In some other cases, you will be able to find higher quality models within approximately the same price range. Another tip while looking for table and chairs for sale, is to prefer big stores to small ones. As a rule, bigger chains have more furniture suppliers and, thus, they can offer more models to choose from. The biggest sales happen right before the introduction of a new collection, which is usually somewhere in the middle of February. Sure, big stores introduce new promotions on a regular basis, but the end of January is always a good time to look for table and chairs for sale. 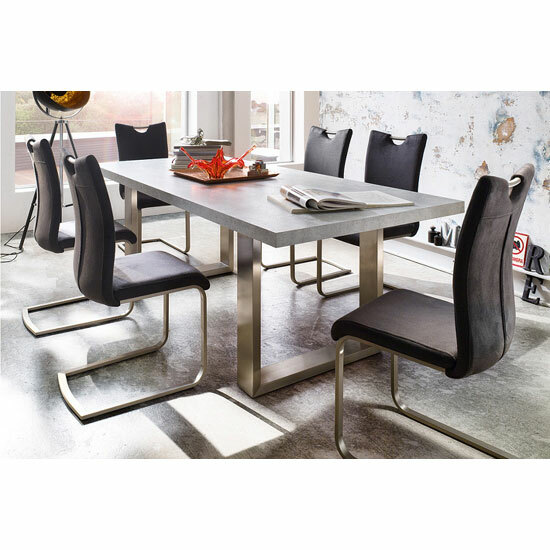 Finally, note that if you cannot find suitable table and chairs for sale, you should consider buying non-discounted models rather than wasting your time in stores. After all, there are plenty of stores that can offer you a vast selection of affordable furniture solutions, even if they come at a fixed, non-reduced price. In the UK, Furniture in Fashion is one of the best examples. So far, this is one of the biggest online furniture stores in the country, offering a very impressive selection of items, surprisingly affordable prices, and quick delivery to any corner of the UK.